★Slimline parts for minimal contact with other chassis parts, and made in durable stainless steel. 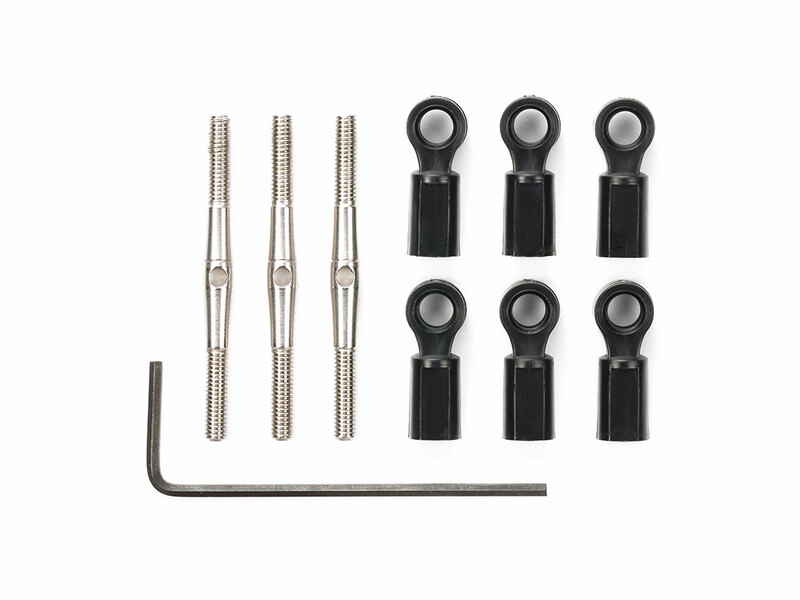 ★They allow simple adjustment of length using kit-included 1.5mm hex wrench. ★Do not use Item 42145 to adjust.